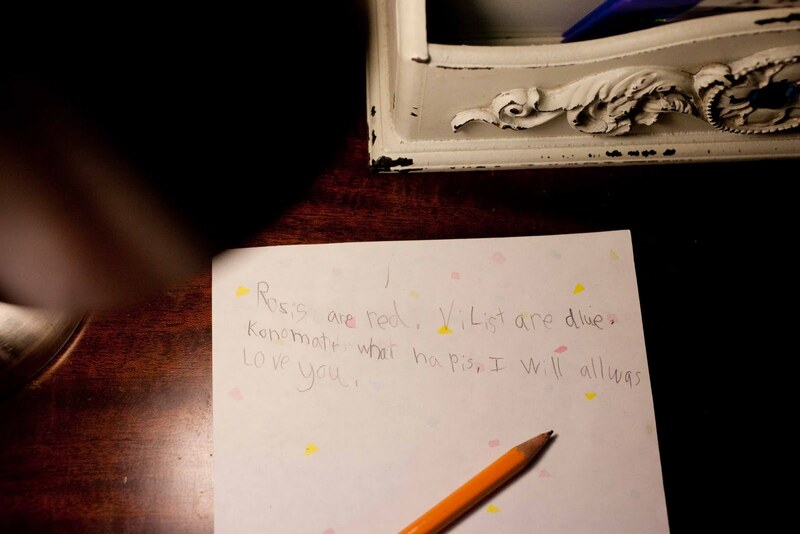 that tiny photographer: Roses are Red. Last night, I came upstairs after "reading" time to tell the kids to turn out the light. "But, Mom, I'm writing a poem! (must be read with a whine)" I looked down at D'arcy's paper and all she had was Roses are Red. But sometime between the light getting turned out and me going upstairs to get the laundry this morning, she finished it. I rewrote it for you above in case you aren't an expert in six year old English. Wow, what a special daughter you have!